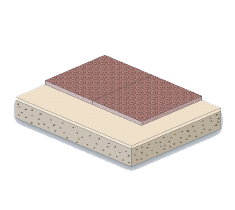 Our pavers can be used on pedestrian & vehicular (limited sizes) applications and are installed on grade using sand set or mortar set installation methods. 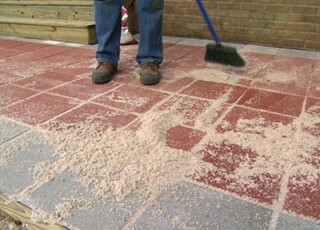 Concrete pavers of this type have been used in Europe for decades and are commonly used on public sidewalks. These pavers are ideal for plazas decks, walkways, roof decks, and pool decks. Our pavers are also ideal for outdoor malls, restaurants, hotels & street scapes. 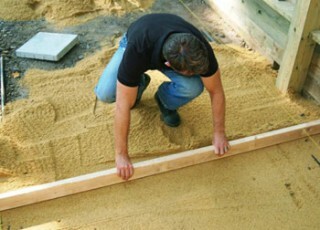 Sand set method is the most economical and allows for easy replacement, repair or adjustment of the pavers and should only be utilized with soil conditions that drain well and are stable against settling. 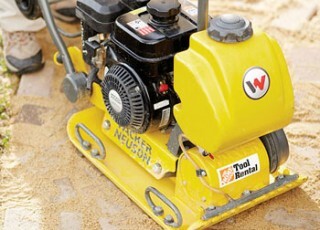 Proper compaction of sand setting bed and road-grade gravel sub-bed is critical to prevent settling and movement For stability, the sand bed should not be thicker than 1” with joints of 1/16” to 1/8” and swept with sand. Use of a filter cloth is recommended on inclines.